﻿Naxalbari – the place which inspired a virulent political movement is today hardly half an hour drive from Siliguri, hub of North Bengal. It was the summer of 67 in this beautiful countryside on the foothills of Himalayas when a group of villagers went missing. Next day as other men went to till the lands, women followed them from behind the bushes. As the men got on with their work, police came to arrest them. Villagers realized that this was being done at the instigation of local jotedar. As women resisted, a scuffle broke out. In the melee, a police inspector, Sonam Wangdi was killed by an arrow. Policemen returned next day with a bigger contingent and faced angry villagers led by women with children tied at their back. Police opened fire on them, killing 7 women, two men and two children. Already there was a strong current of resistance in the area thanks to tea garden workers movement led by local communist leaders like Kanu Sanyal and Jangal Santhal. A month later, a huge rally was organized near Siliguri with landless peasants and tea garden workers and a committee was formed to take the struggle forward. Charu Mazumdar called for an armed struggle to capture land. In the late 1940s North Bengal was the epicenter of communist-led Tebhaga movement, which demanded at least two-third of the produce for the actual tiller. A number of participants later on felt that they were forced to compromise during the Tebhaga movement mainly because they did not take up arms. Two decades after independence, Bengal was tottering on the brink – feudal exploitation continued unabated in the countryside, industries were facing a tough time. Overflowing refugees from the East strained public resources. An insensitive political class failed to understand the frustration of a new generation. Calcutta was rocked by a series of agitations over tram-fare hike, over ration-supply, which alone ended in more than 50 deaths. A militant student movement, fanning out of Presidency College, took inspiration from student movements and anti-war protests going on at that time in the USA and Europe. To such Che Guevara inspired romantic revolutionaries, the news of landless peasants and tribal tea garden workers rising together provided the proverbial spark. Events followed quickly after June 1967. Two years later, on May Day, birth of a new party, Communist Party of India (Marxist-Leninist) was announced – a party which promised to usher in Communism through armed struggle. Following the clarion call of Charu Maumdar, students left for villages and planned to encircle cities with armed peasants ready for class struggle. Their mandate was to kill all class opponents – jotedars, rich landowners and whosoever was against the revolution. Between 1970 and mid-71, waves of Naxalite violence rocked the entire country though the intensity was highest in West Bengal (3500 out of 4000 plus reported incidents) followed by Bihar and Odisha. Some of the areas became Naxalite strongholds like Gopiballavpur and Debra in West Bengal, Mushahari in Bihar, Lakhimpur in UP and Srikakulam in Andhra Pradesh. However, soon they realized that villagers were less than eager and they themselves did not have either the organization or the arms to take the revolution forward. A joint Army, para-military and police operations – Operation Steeple Chase – cleansed the Naxal strongholds ruthlessly between 1 July and 15 August 1972. 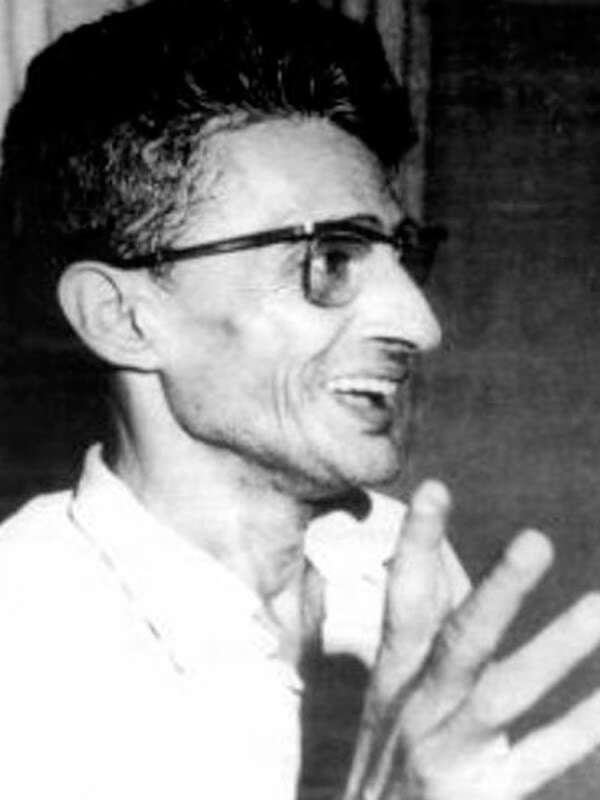 Charu Majumdar, long suffering from heart ailment, died soon his arrest in July 1972. With his death curtains came down on the first phase of Naxal movement. A brutal police repression followed under Siddhartha Shankar Ray (1972-77) in Bengal, wiping out last vestiges of urban left-wing extremism. Eventually people of West Bengal rejected both the Red Terror and state repression of the Congress government. Since 1977 Congress failed to capture power in Bengal. In Bengal countryside, Naxals helped to dismantle the feudal power structure – a process later consolidated by the CPM government through Operation Barga and devolution of power to Panchayats. Only a plaque commemorates the martyrs of Naxalbari – most people in the area today hardly remember the events of late 60s. Jangal Santhal eventually died a broken man - a penniless alcoholic and a lonely Kanu Sanyal committed suicide in 2010. 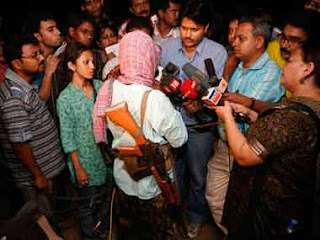 In urban Bengal, Naxal period is today viewed more as a romantic adventure of a generation. Among urban youth leaders those who survived brutal police oppression a large number went abroad and only a few ever returned to politics – most prominent of them is Asim (Kaka) Chatterjee. His face disfigured as a result of prolonged police torture, Kaka is still seen in protest rallies in Calcutta. Though the dots cannot be joined in a straight line from Naxalbari to Lalgarh or Sukma, their true political legacy continues today in the jungles and backward regions of India. Factionalism that had started in the ranks of Naxals even before Charu Majumdar died eventually led the political movement to a dead end. In 1980, with the founding of Peoples War Group in Andhra Pradesh by Kondapalli Seetharamaiah began the second phase of the Naxal movement. In 1992, police action led to killing and arrest of a large number of PWG men – dealing a blow to the movement. Between 1987 and 1992, another Naxal group – Maoist Communist Centre, MCC led deadly attacks in Bihar, mainly against upper caste landlords. Present phase – which experts call the third phase - of the Naxal movement started in 2001 with the PWG decision to arm Peoples Guerilla Army with modern weapons. Andhra Pradesh has been the hot bed of this movement. In 2003, the then Chief Minister Chandrababu Naidu survived an attack similar to Bastar attack when PWG guerillas attacked his convoy in Chittoor. The movement got a shot in the arm with the merger of PWG and MCC in 2004, which led to the formation of the Communist Party of India (Maoist). Today Naxals are believed to be present in over 165 districts in 14 states but are most active in certain districts of Chattisgarh, Andhra Pradesh, Odisha and Bengal. Instead of starry eyed student guerillas of the 70s, today they draw their support from the poorest tribals and landless people. They are much better armed, organized and ruthless. They are more successful than their romantic predecessors mainly because they have raised the issues closest to the people they represent. It is also a measure of their success that they have forced political parties to take up issues like forest rights and tribal backwardness. People, strategy and locations have changed but the grievances of the marginalized have only multiplied in last three decades or so and that is what – despite this terrible violence - keeps Naxalism alive.